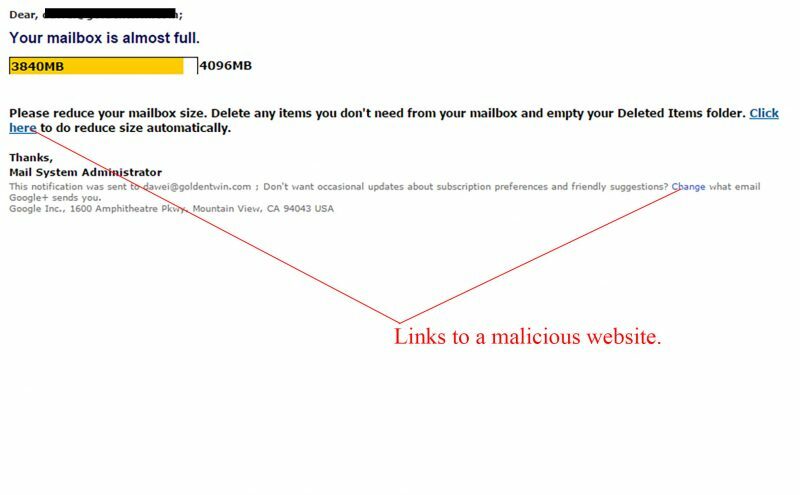 A malicious email has been caught by our spam filters claiming that your mailbox is almost full and needs to be updated. It looks to be targeted at Gmail users. Clicking anywhere within this email will lead to a dangerous attempt to obtain your email log in data. Figure A shows the email that attempted to reach inboxes. It is straight to the point and has an image which is an attempt to convince you of its legitimacy and that your email account is in fact running out of space. The subject line reads “Email Upgrade Overload” and the sender is shown as “Administrator” – however when looking closer it is clearly spam. When looking at the small text at the bottom, it is said to be sent from Google, but is in no way branded or associated with the leading online company. There are 2 malicious links within this email that will lead you to a malicious website. Figure B is the malicious website you will be lead to if any links within the email are clicked. 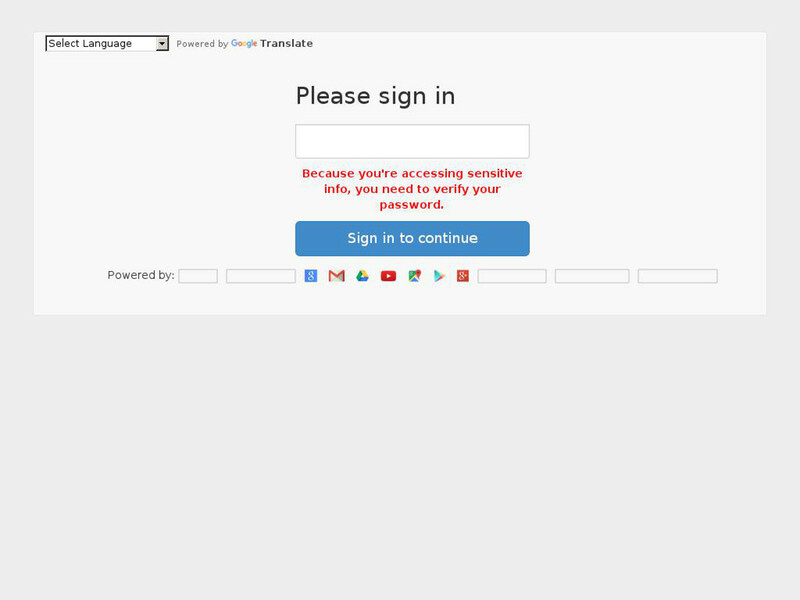 It is branded to look like the Gmail log in screen and is attempting to obtain your email log in data. Providing your data on this page will lead to it being shared and your account accessed. If a scammer gains access to your email account this can lead to other dangerous activity as your email address is normally connected to a range of other online services which they will then have access to. If you fall for this scam, change your password immediately and contact your email provider. Stay safe online and never give sign in to your email accoun tunless accessed from the official website of the Emai lprovider. Checking the URL is a great way to tell of the authenticity of a website. If you are ever in doubt, contact your email service provider for more information. Delete this email from your inbox if received.